RADIUS server configuration on Cisco IOS is performed in two steps, one set of commnads are defined within the AAA paradigm and other set is run with the “radius” commands. The aaa configurations on the Cisco IOS needs to be done with named method lists or the default list can be used. The simplest way to start with the configurations is to use the built-in default method lists. activate authentication for logins to the router and specify that RADIUS is the preferred method but we’ll include the local user database as a fall back if RADIUS becomes unavailable. Note that users in the local database cannot be used if the user doesn’t exist in RADIUS, it will only fall back if the RADIUS server is offline. This command is optional but will automatically take RADIUS authenticated users to privileged Exec (15) mode without requiring them to type “enable”. 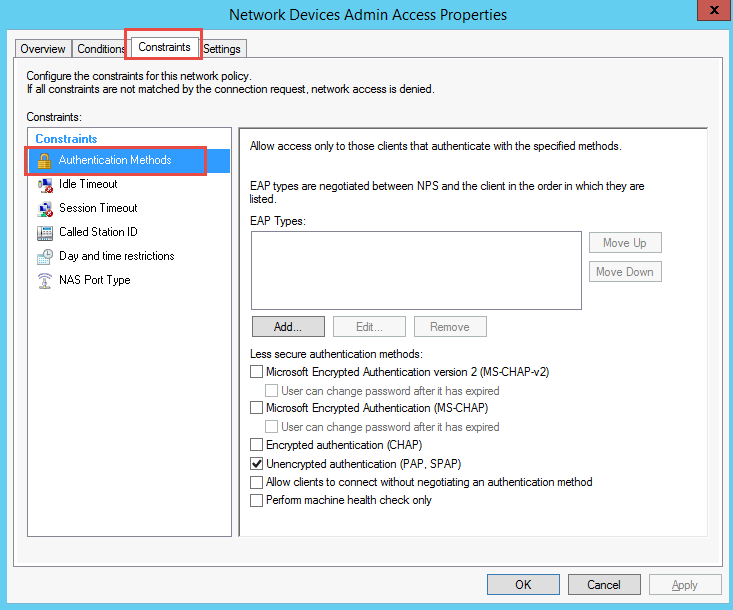 Specifies the name for the RADIUS server configuration and enters RADIUS server configuration mode. 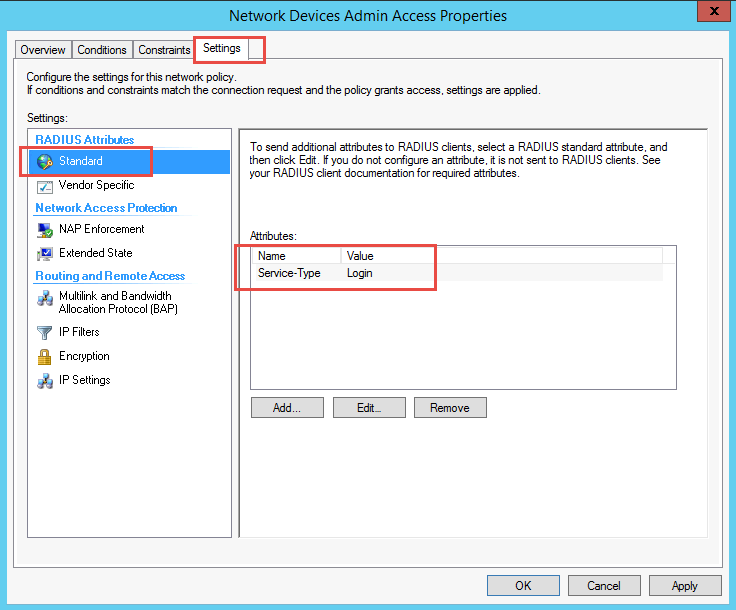 Configures the IPv4 address for the RADIUS server accounting and authentication parameters. The shared secret key that’s configured on the RADIUS server must be defined for secure RADIUS communications. 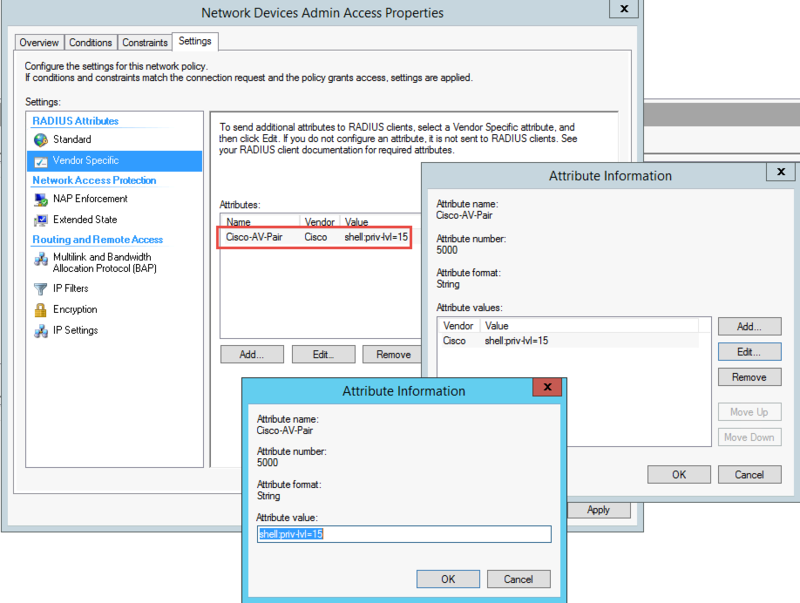 To force RADIUS to use the IP address of a specified interface for all outgoing RADIUS packets, use the ip radius source-interface command in global configuration mode. 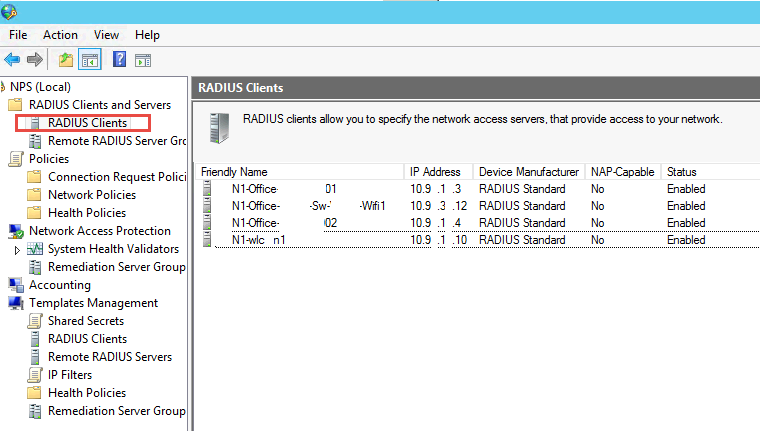 The source IP address of the RADIUS packets must match the NAS IP address configured on the RADIUS server. A mismatch leads to RADIUS packet timeout and the server gets marked “DEAD”. Note: RADIUS has been officially assigned UDP ports 1812 for RADIUS authentication and 1813 for RADIUS accounting by the Internet Assigned Numbers Authority (IANA). However, prior to IANA allocation of ports 1812 and 1813, ports 1645 and 1646 (authentication and accounting, respectively) were used unofficially, and became the default ports assigned by many RADIUS client/server implementations at that time. The tradition of using 1645 and 1646 for backwards compatibility continues to this day. For this reason, many RADIUS server implementations monitor both sets of UDP ports for RADIUS requests. 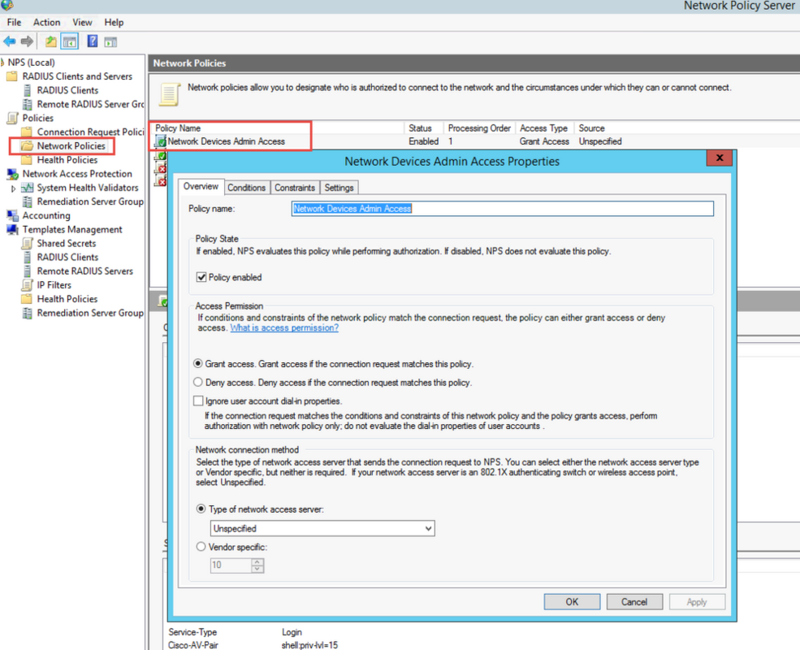 First step is to install NPS on Windows Server 2008 or 2012 R2. In order to do that Server Manager has to be used. 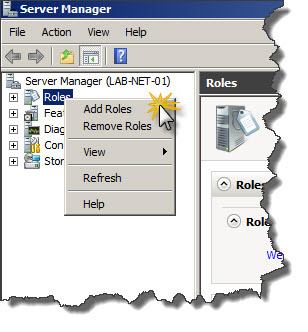 In Server Manager right-click on Roles and choose Add Roles from context menu. Open up Server Manager, click Add Roles, click Next on the Before You Begin screen, check Network Policy and Access Services and click Next, click Next on the Introduction screen, check Network Policy Server (leave the rest unchecked) and click Next, clickInstall. More installation steps detail you can get it from this post. 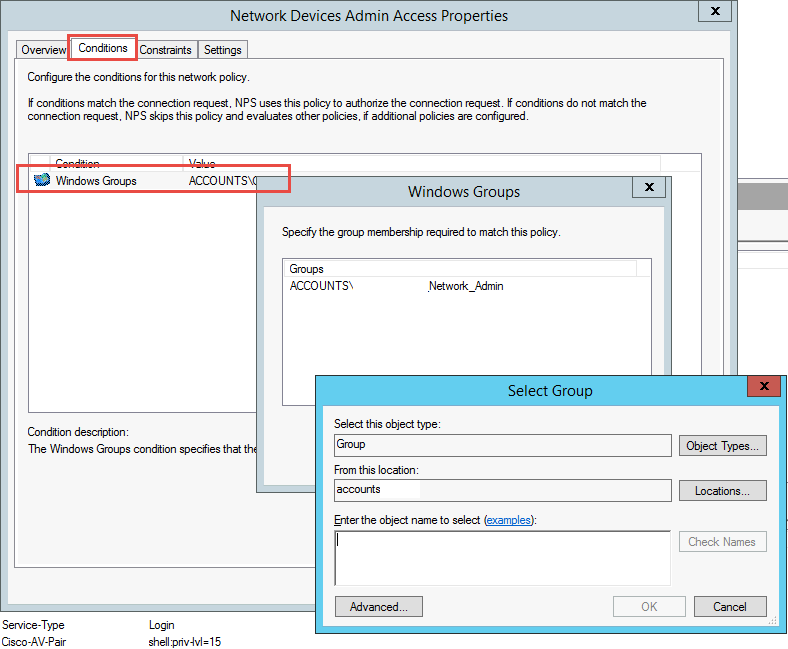 2.1 Create Radius Clients for all of your switches and routers which will use your Radius NPS authentication. Specify which AD group will be used to do authentication. The users' login access is controlled on the NPS. The Vendor specific attribute controls that part.